I’ve traveled in all directions in the last few months- looking at potential lesson horses. I want to rescue the skinny ones. I try to guess how much retraining will be needed for others. The right horse needs to be not too old or too tall. There is a temperament I am looking for; tolerant, brave, and the ability to wait to be asked correctly. Good lesson horses are hard to find. A friend told me about a career change horse. The mare had developed a dislike of the western pleasure show scene- so we had something in common right away. 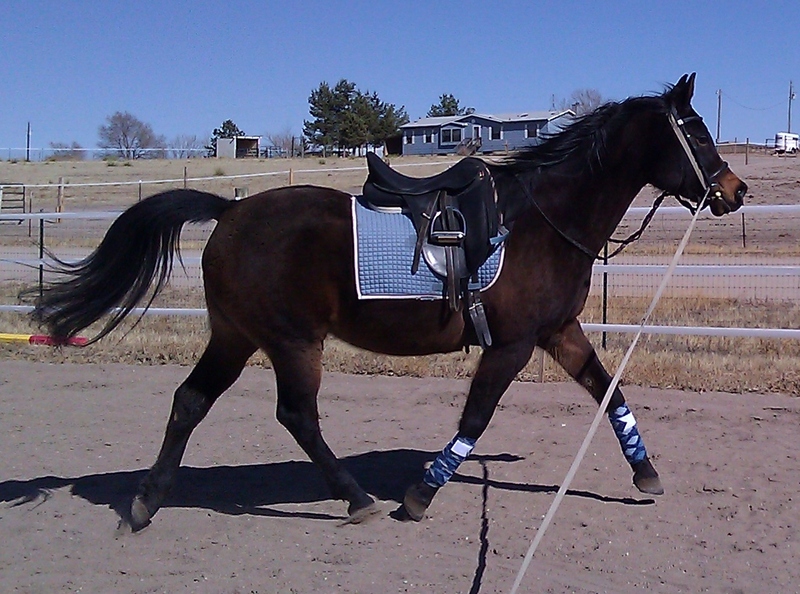 More recently she had been doing some reining– that was more promising. But dressage might be the antithesis of western pleasure. Would the change of discipline be too extreme for her? I arrived at the appointed time, and she was tacked up. The mare seemed stoic as I gave her a visual once over. I was stoic as well- I had a job to fill. I asked the trainer to show me what she could do and we moved to an arena filled with dogs, a loose horse and someone else lunging a horse. The mare ignored the chaos and went to work. A lesson horse has to be somewhat tolerant of new riders who might have more enthusiasm than finesse- and give confused signals. When it was my time to ride, I reminded myself to park my ego, ignore the onlookers and pretend to ride like a novice. I got the mounting block, lumbered up and plopped down in the saddle. I tightened my legs, I sat a little crooked. I didn’t breathe. She moved off quietly. A few moments later, I was startled by a crash. A second horse had come in to be lunged in the arena and he had come apart. The dogs thought it was hilarious. 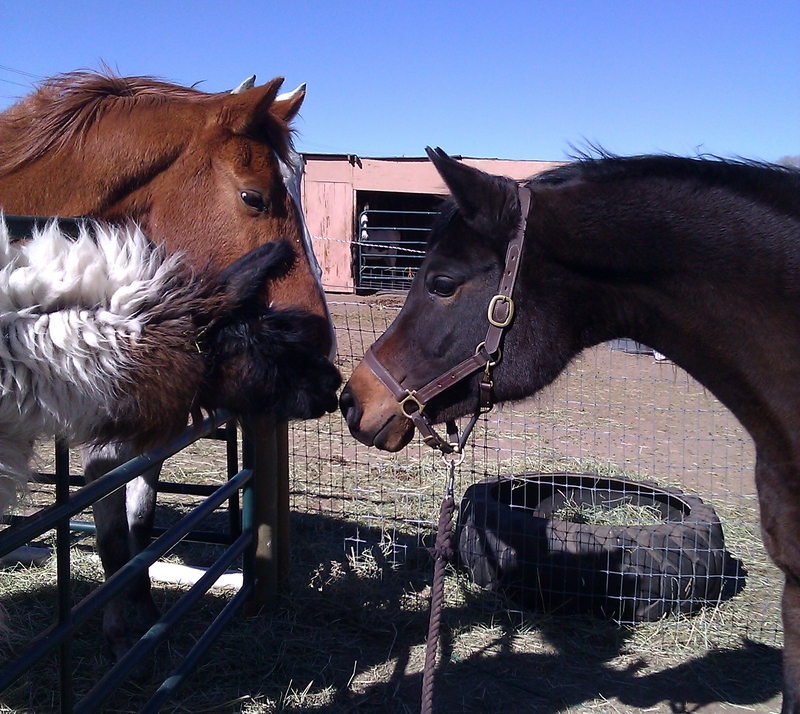 The mare ignored that too; we were lost in a conversation about half halts and forward, transitions and shared breath. She had distracted me from pretending and invited me to ride. Is this the equine equivalent of eyes meeting across the crowded, smoky bar? If she can distract beginners into riding instead of thinking -as easily as she did me- it’s a no brainer, this is a lesson horse. Thinking about learning to ride? The doctor is in! Life is change. Let’s have some fun. She’s lovely, kind of reminds me of Prankster all those years ago. And sounds like she’ll be perfect for her job! But sadly, she’s not a Haflinger! 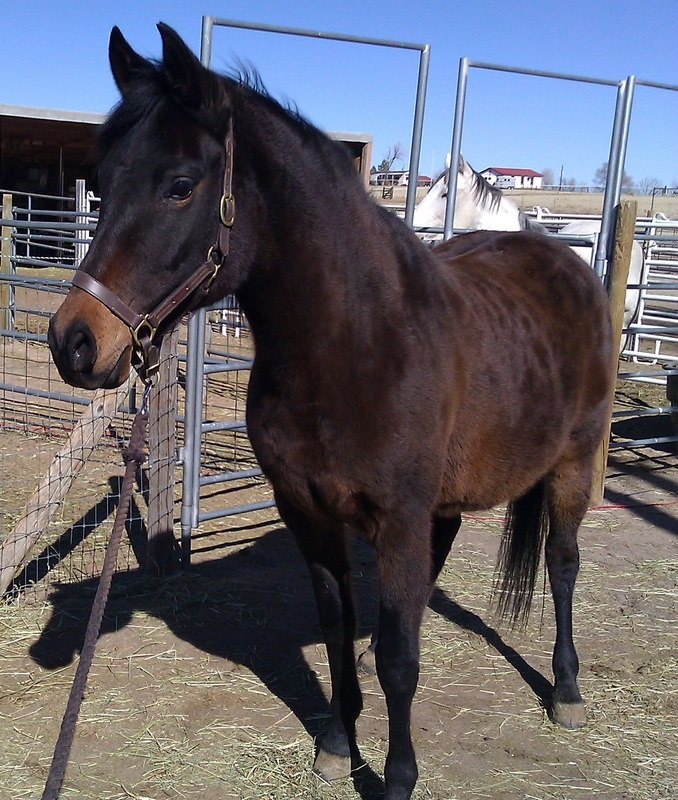 Looks and sounds like a really nice mare – it is hard to find horses with the potential to be good lesson horses. I have a big smile on my face this morning. She’s beautiful, Anna! I know she will be the perfect lesson horse (under your gentle and expert guidance). Good luck with her!